John Edridge (L) and Bob Holcomb (R) circa 1982-1983. 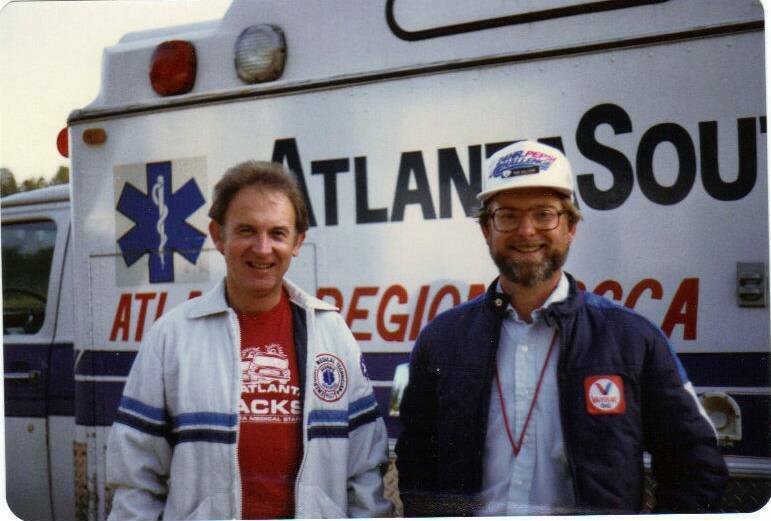 John was Atlanta pit chief in early 70's then became an EMT. He's now an SCCA steward, summers in Clayton, GA (near NC border) & winters in Ft. Pierce, Fl. He got us back into SCCA in mid-Jan. 2006 after he and his wife Marion took us to Homestead for an SCCA National. Nancy & I were originally in SCCA 1969 to 1986 (Bob: Paddock/Pits, Nancy: T&S). Now I do flagging and Nancy still does T&S. 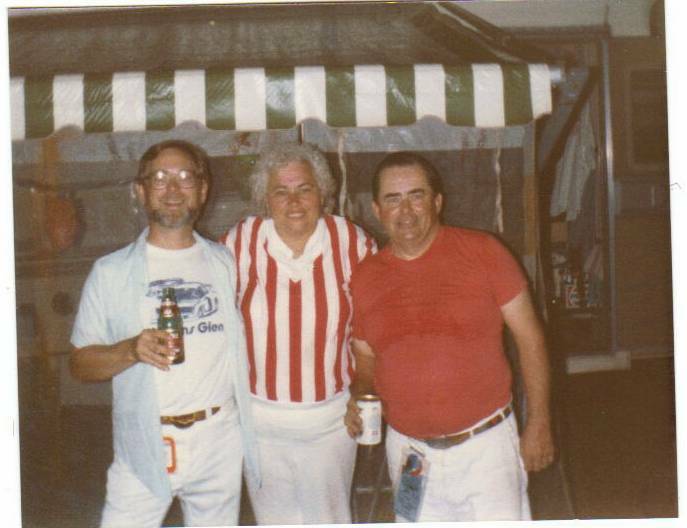 2) Bob Holcomb (L) Shirley Van Nostrand (M) & Bob Van Nostrand (R). Rd. Atlanta about 1984 - 1985. Bob (known as Round Robert in CNYR SCCA) is deceased. Shirley still in Liverpool area but dropped out of SCCA. They had a son who also flagged but he's not active either. 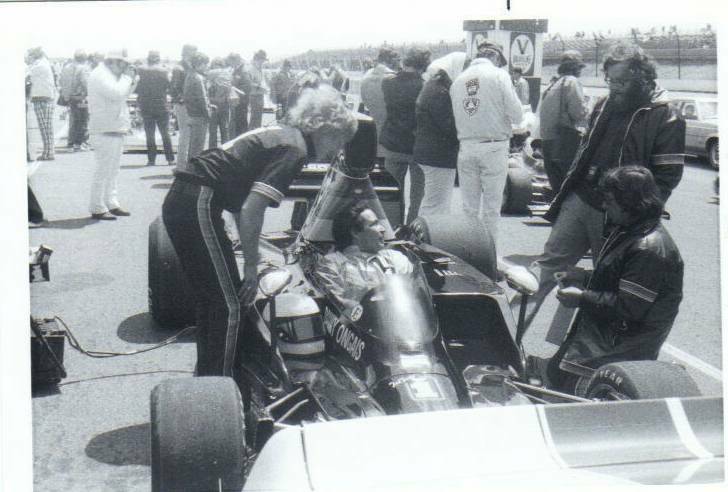 3) B&W of Danny Ongais at Pocono F5000 race 1976.